Used for centuries in perfumes, Patchouli is one of the more aromatic essential oils, with a heavy and strong scent. In the aromatherapy world, Patchouli essential oil is one that is either loved or hated. The oil from the patchouli plant, which grows, and is native to, tropical Asia, is described as having a pungent, powerful, mossy, and musty aroma. It is the unique aroma which makes it such a controversial fragrance. The plant itself is actually a member of the mint family, another plant that is well known for its aroma. The leaves can be harvested several times a year and either distilled immediately at the plantation or dried and shipped for distillation elsewhere. The scent of the oil is thought to improve with time. In the 18th and 19th centuries, Chinese traders used dried patchouli leaves as a packaging material around their silk. This was to prevent moths from laying their eggs there, as moths do not tolerate the smell. Because of this use, it may be why Europeans of that time associated it as a scent of luxury, and patchouli became a scent associated with a high class, opulent life. In modern times, patchouli gained a bit of a reputation for itself during the 1960s and 1970s. That was when it became very popular with those who favored free love and the hippie lifestyles. This may be partly due to the fact that the scent of patchouli has been known to cover the smell of burning marijuana, and so could be used as a masking scent for those that indulged in the illegal drug. The god Krishna is said to inhabit patchouli, so the Hare Krishna movement may be partially responsible as well. Regardless of its colorful and alternative lifestyle, patchouli essential oil also has a more reserved side as well. It is used widely in the perfume industry, and can be found in about a third of high end fragrances, including over half of those used by men. It is also an important part of incense from East Asia. It has been used to scent paper towels, laundry detergents, and used in air fresheners as well. The process of distilling the essential oil from the dried leaves of the plant produces a high yield, so it is also relatively inexpensive to produce when compared to other essential oils. The plant and oil have many claimed benefits in herbal folklore and magic, with the scent in general found to be relaxing. It is often used in rituals that involve love, lust, and passion, as well as those for spell breaking, fertility, money and protection. Users can choose to carry the herb in sachets or pouches or use the essential oils in spells. If you enjoy the scent of patchouli, you might find that products that you can use around the house will offer the most pleasing scent. Patchouli can be found in a variety of potpourri mixes, scented candles, air fresheners, room sprays, and other household items. You can also purchase a variety of personal care products to carry the scent with you all day long. These include soaps, lotions, perfumes and deodorants. Be aware that a little of this scent goes a long way and also that your coworkers, friends, and/or family may not enjoy the scent as much as you do. 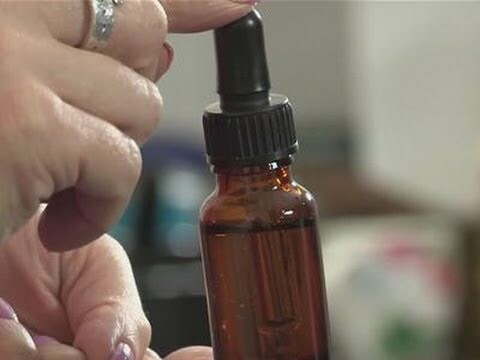 Whether you love or hate patchouli essential oil, there is no sign that it will be leaving the marketplace any time soon.